Gabriel Nodea was born in 1969 at the Derby Leprosarium hospital. He says his early life was complicated because he moved around to different places throughout the Kimberley. Nodea says his family moved from Texas Downs station to Wyndham, then to Halls Creek, Nookanbah and finally to Warmun. Nodea attended Ngalangangpum Community school in Warmun and then went to high school in Broome. He was the first student from Warmun to complete year ten. Nodea has worked for a long time in the Warmun community office and began painting in 2004. He stopped painting for several years and only began again recently. Nodea is a strong dancer and is an important holder of Gija culture and language. From 1990-2005, Nodea was a member of Norforce (North-West Mobile Force). 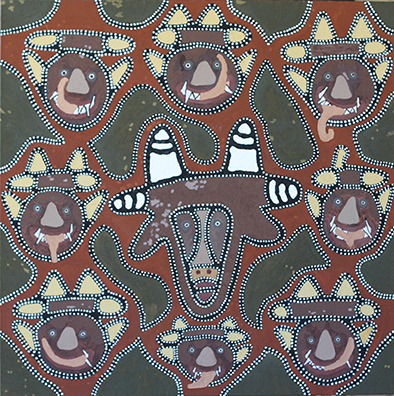 In the past several years, he has been Chairman of Warmun Art Centre (circa 2009-current), and Deputy Chair of Arnhem, Northern and Kimberley Artists (ANKA) Aboriginal Corporation (2010 – current). He also held position of the Acting Chairperson Kimberley Law and Culture Centre (KALAC) and as a Court Translator and Interpreter when required. Nodea is well known as a dancer following performances in Paris and Canada and in 2010, he led performers who were invited to the Art Gallery of NSW to perform at events associated with the launch of Art + Soul. Also in 2010, Nodea travelled to Beijing, China, with other artists to represent Warmun Art in the ‘No-Name Station’ exhibition for the year of Australia/China cultural exchange. Since 2009, Nodea has been employed as Cultural Liaison Officer at the Warmun Art Centre. In this role, he has initiated and built a Joonba (Corroboree) Ground alongside the Art Centre and is planning further initiatives for new cultural activities to make the Centre a cultural hub for the Warmun Community. 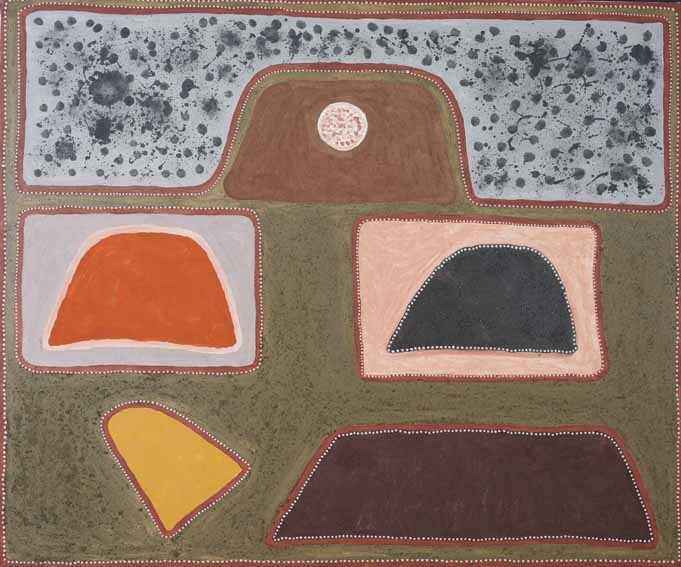 In 2010, Nodea completed both Certificate I and II Indigenous Leadership and was selected to complete the Wesfarmers Indigenous Leadership Course at the National Gallery of Australia, Canberra. In 2009, Gabriel Nodea was elected as the Chairperson of the Warmun Art Board of Directors and re-elected for most of 2010 – 2018. He now continues to play an important role in guiding the direction of the Warmun Art Centre and advises on cultural matters.